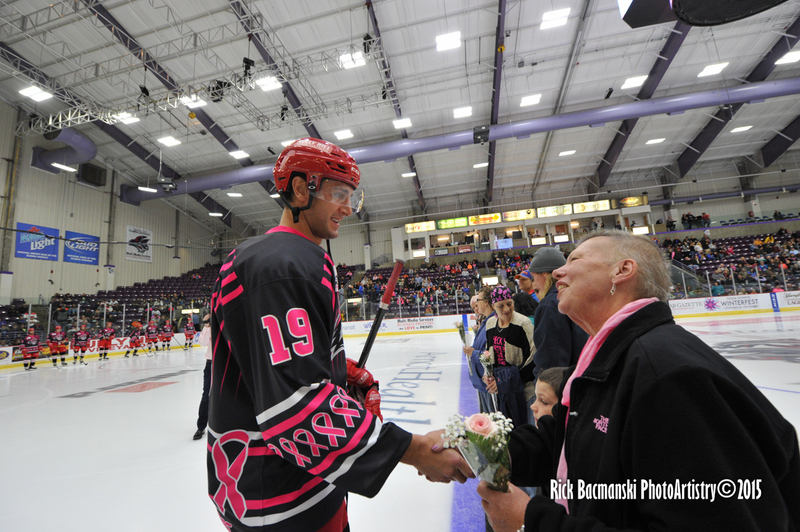 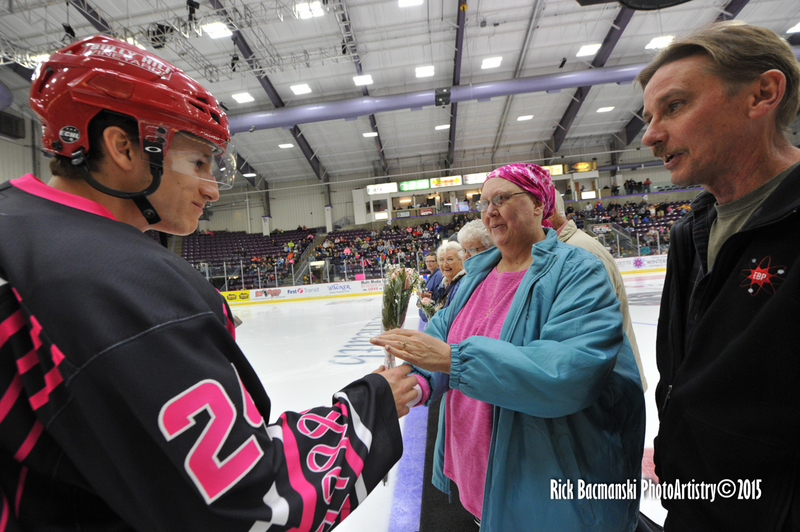 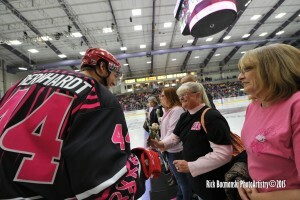 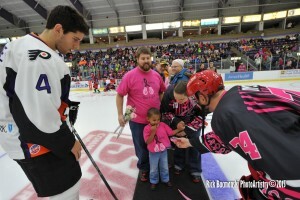 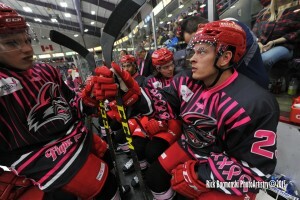 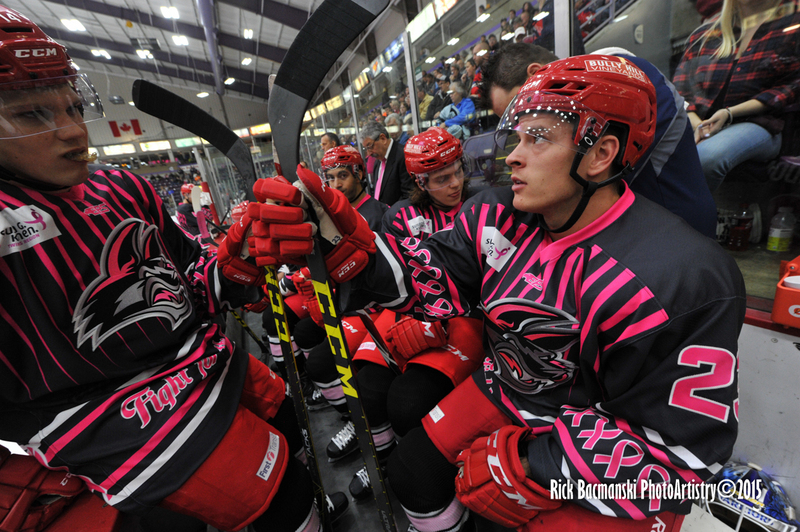 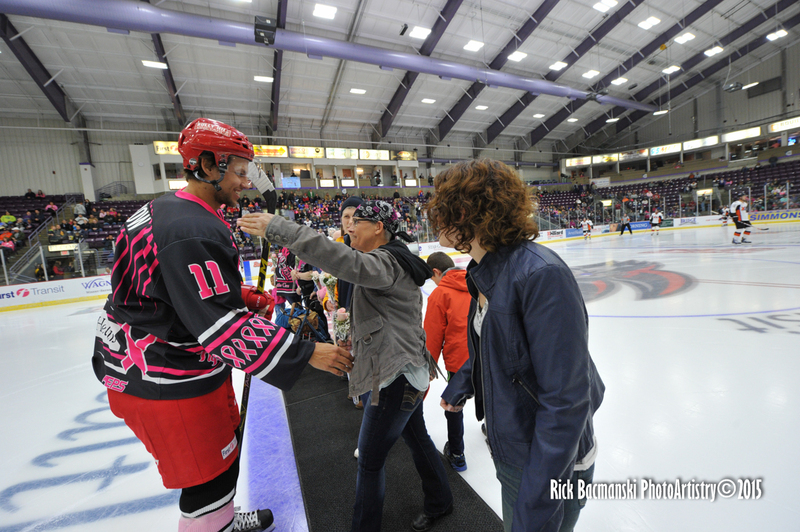 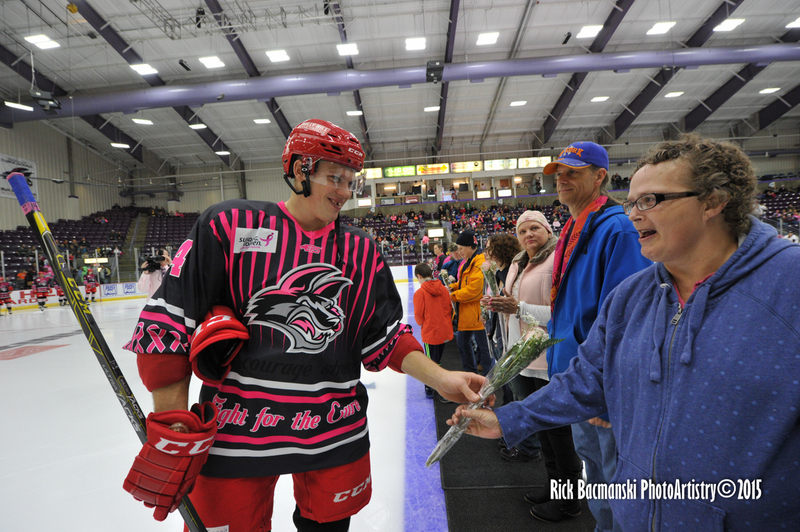 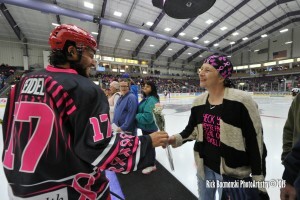 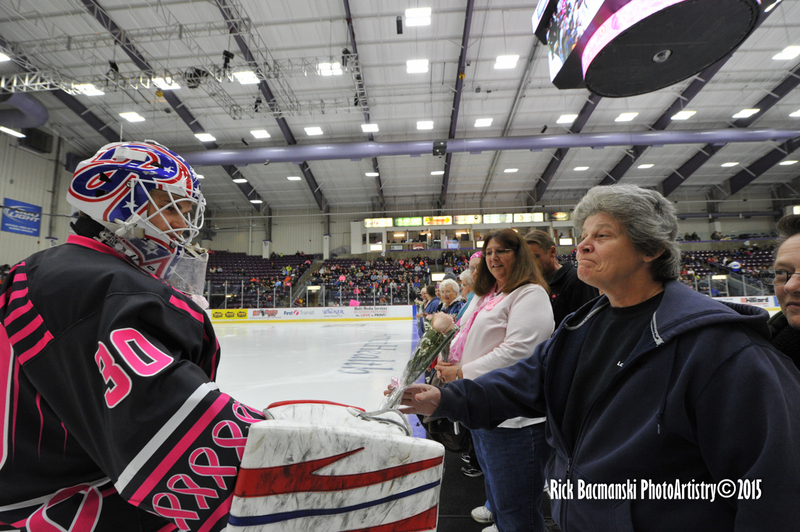 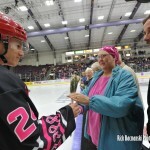 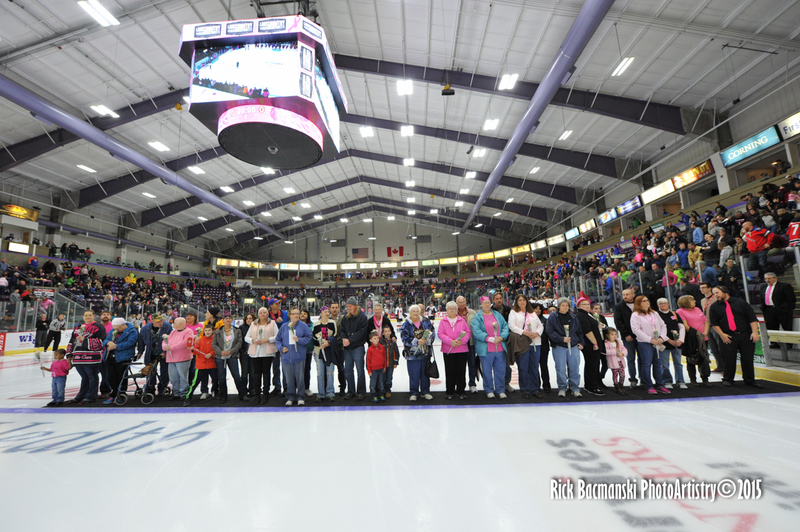 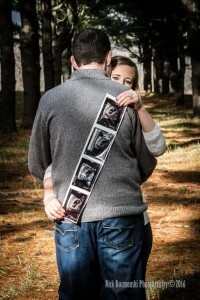 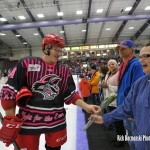 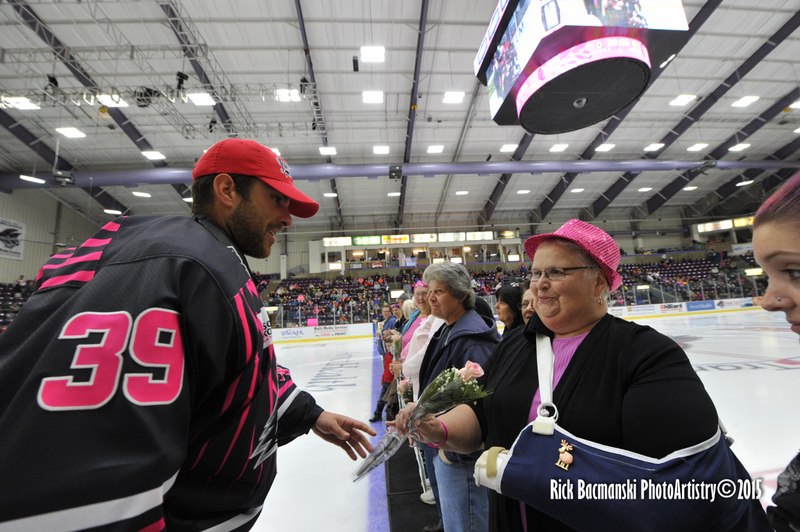 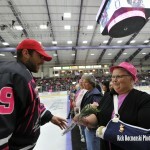 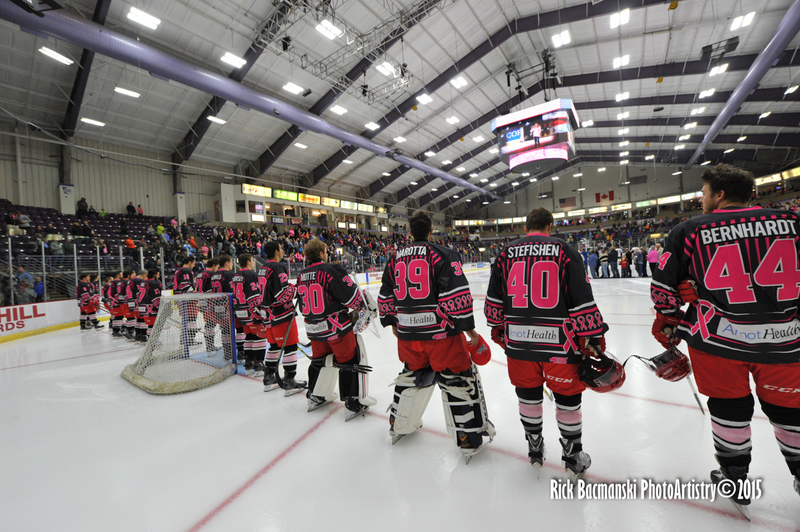 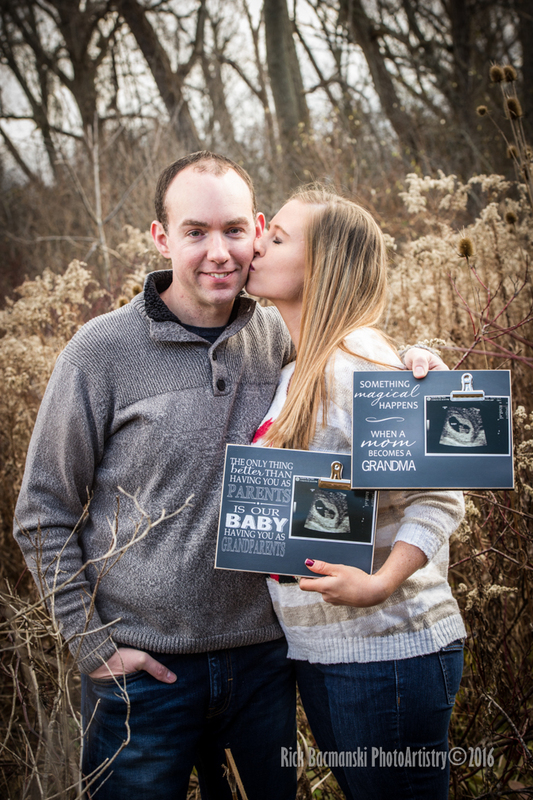 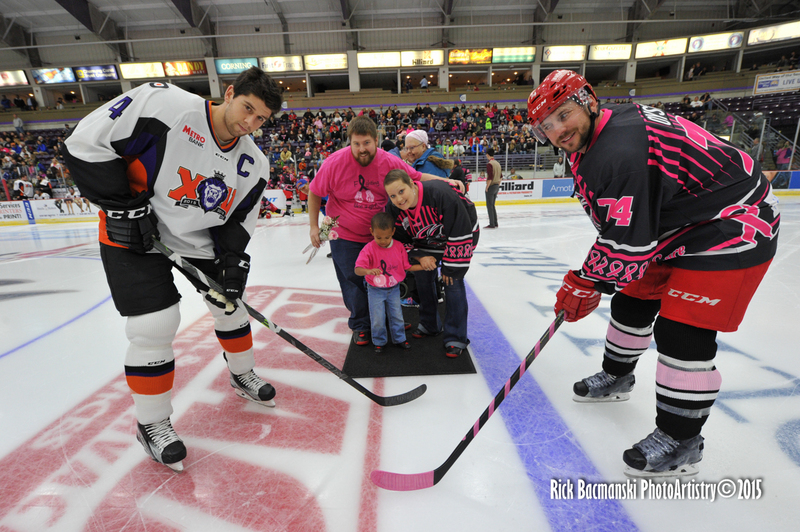 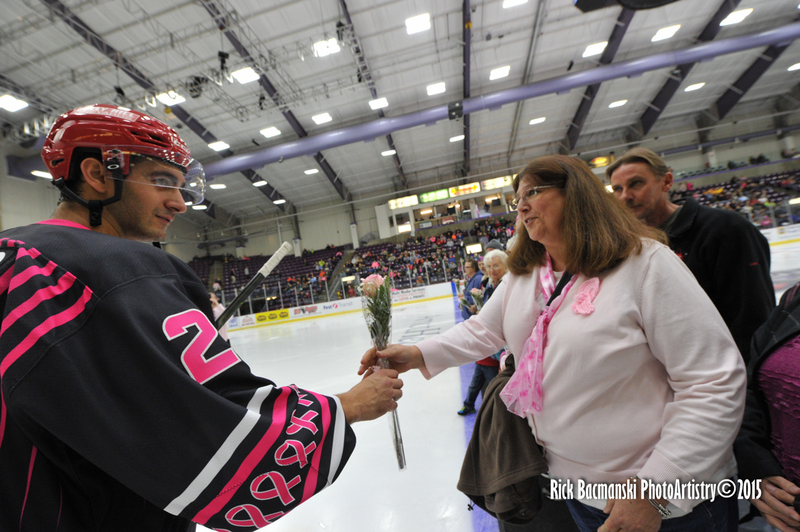 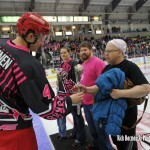 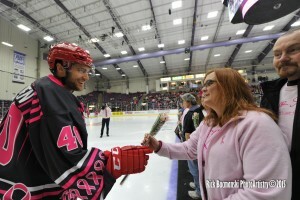 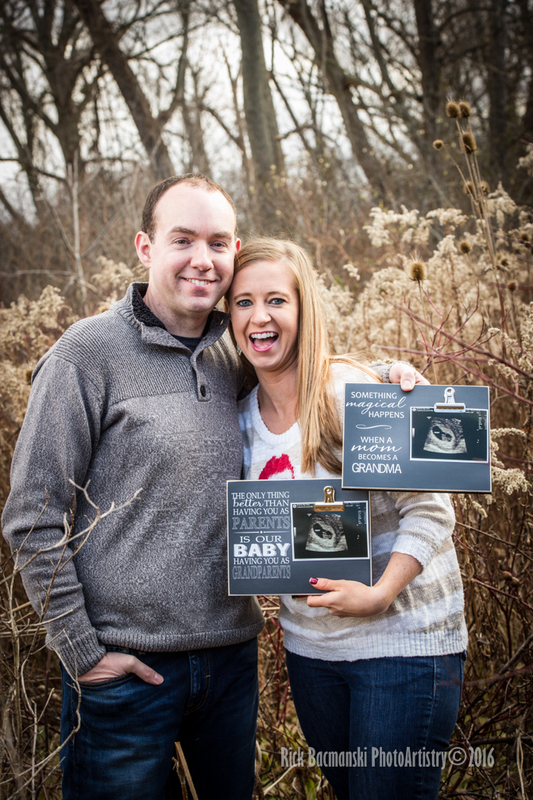 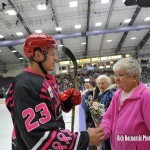 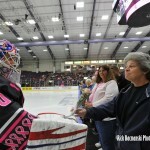 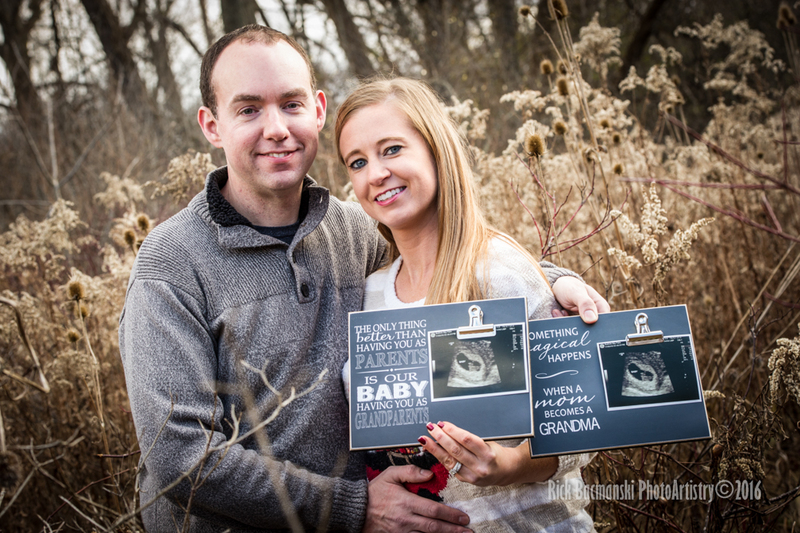 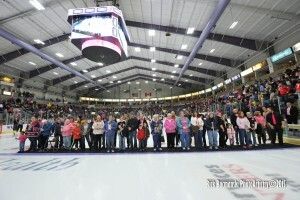 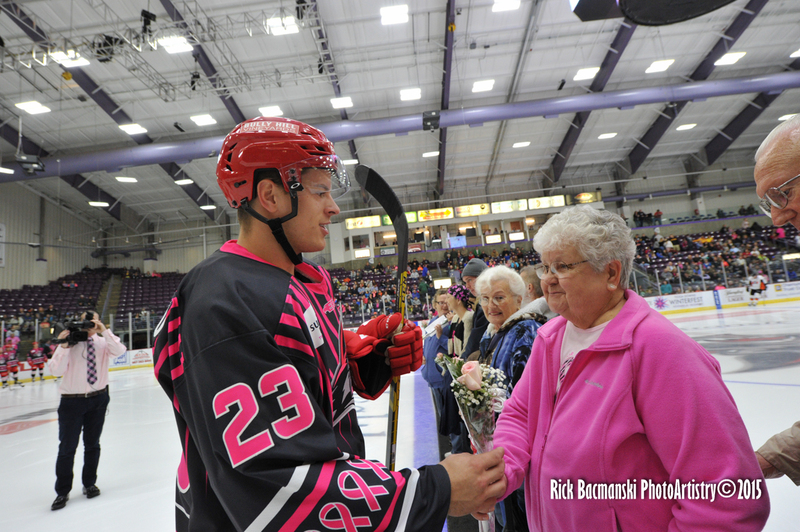 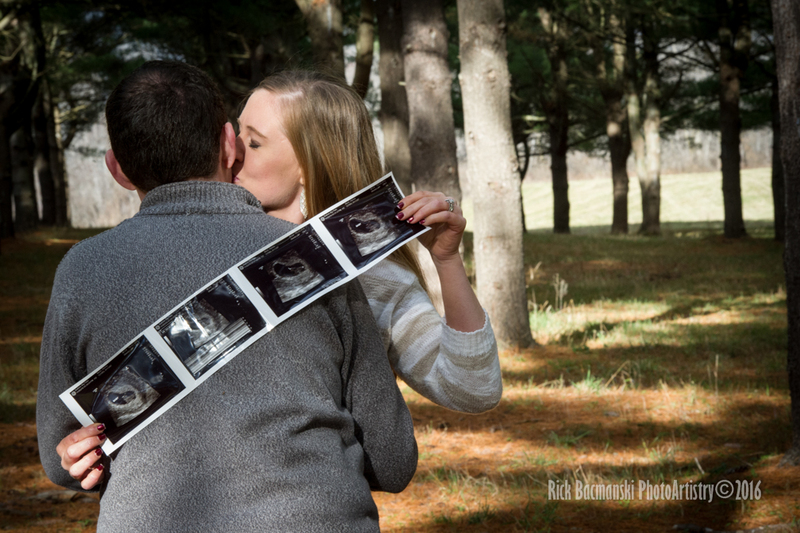 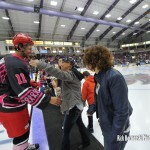 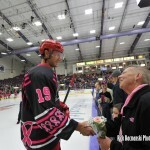 A few Special Moments from last night’s “Pink in the Rink” Ceremony prior to the Jackals-Reading ECHL Hockey Game. 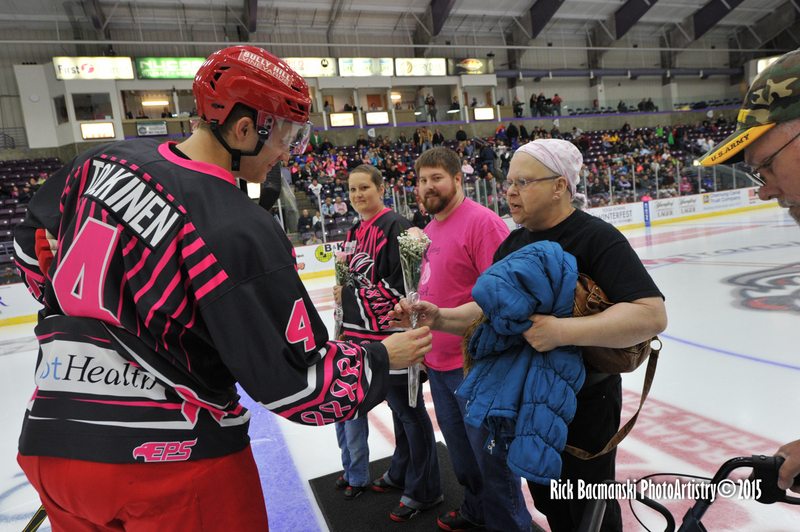 Each of the Boys skated out to present flowers to a Brave, Strong, Determined Cancer Survivor. 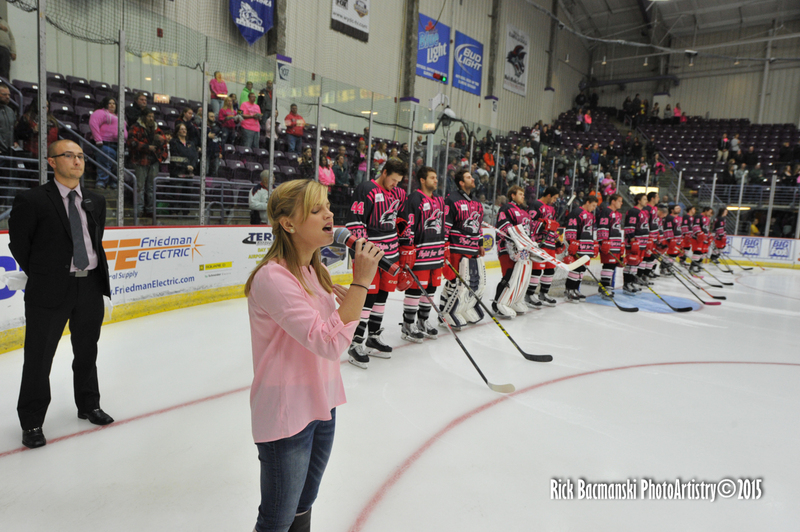 Followed up by a Great Rendition of the National Anthem and a really fun Puck Drop at Center Ice.